For most of the time, drywall is not a bad material to use when you want to cover basement walls and surrounding surfaces. Nonetheless, it could take a lot of time and effort to apply the material correctly, especially at the finishing stage. In fact, sanding drywall mud is easily one of the most problematic house remodeling tasks because of the dusty cloud it creates. The material is pretty inflexible as well so you would have a hard time adding an outlet or fixing a pipe. After some time in use, moisture could get through the outer layer of the drywall and steadily degrade its quality. At worst, the place would become an ideal breeding ground for exceptionally harmful fungus like mold and mildew. In the case you want to use another material and avoid all the issues above, this article is for you. Down below are 10 excellent alternatives to drywall in the basement, each of them come with unique characteristic and specific applying method. Take a good look at the material and see if you can find a suitable replacement for the drywall. Different people would have different preferences so there isn't a single product that could satisfy everyone taste. As a result, it's best that you carefully consider your own need and requirement before making the final decision. 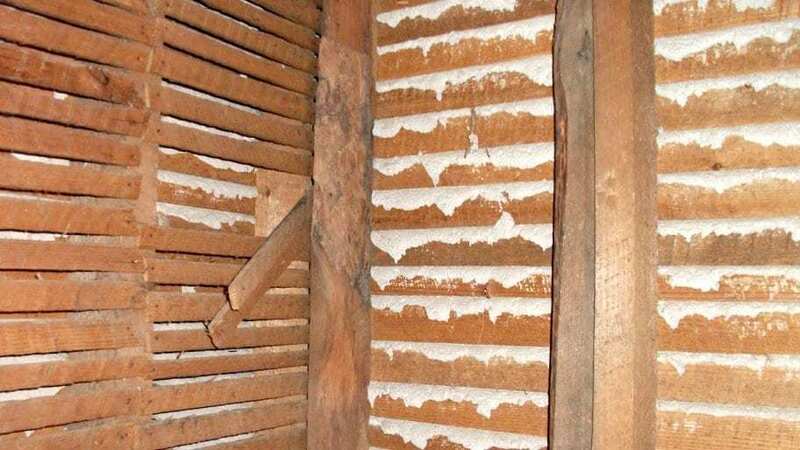 It's a classic method that involves putting up hundreds of horizontal wooden slats called lath and then squeezing the plaster in-between the slats. 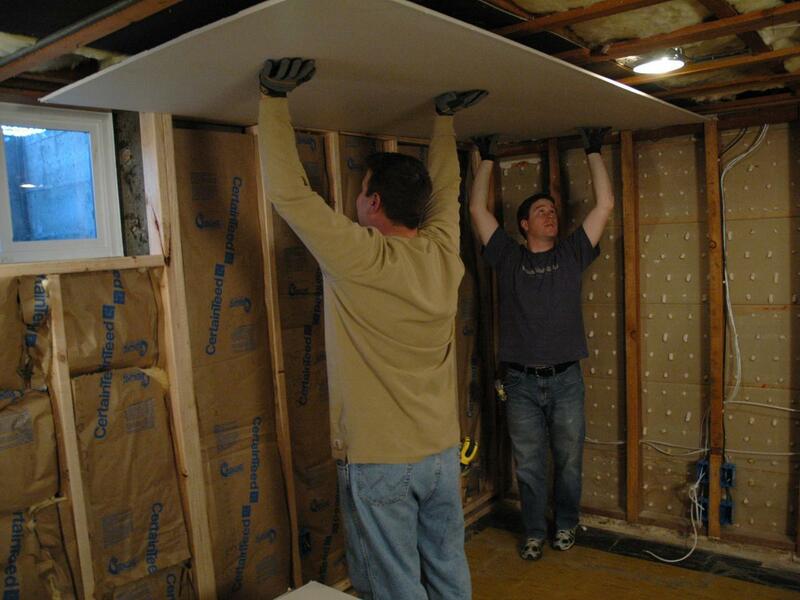 Compare to drywall, this method is much more labor-intensive and time-consuming to set up but the method does offer some long-term benefits. As time goes by and the materials get old, there is no need to perform maintenance and repair unless there are visible damages. Even when some sections of the plaster start cracking, you only have to take care of those spots instead of tearing down everything. There is a wide range of tile for you to choose such ceramic tile, porcelain tile, marble tile, granite tile and many more. Tile would add a lot of character to the basement and make the place look fresh plus it's quite durable. The price tag of tile varies a lot from one case to the other with high-end products tend to be quite expensive. However, entry-level tiles should be sufficient in most of the case if you don't have any complex demand. You could set up a tile wall without too much effort since the applying method is rather straightforward. Consist of compressed wood strands, OSB is used as exterior wall or floor underlayment so it would do fine in a basement setting. The material is very strong which permit it to handle regular bumping and scuffing without showing any sign of damage. However, because of the OSB "dazzle" pattern and its waxy surface, it could be rather hard to apply an efficient coat of paint. 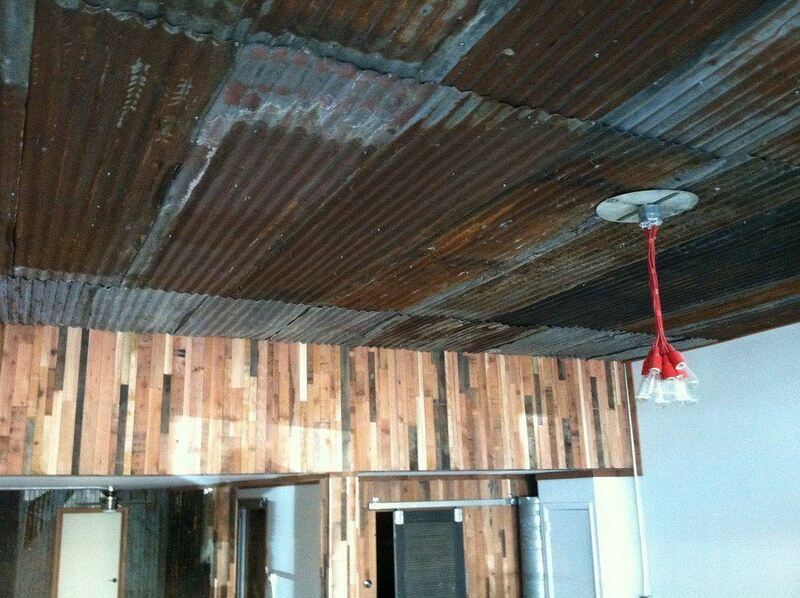 In the case that you like the idea behind OSB but want something lighter then you should go after plywood. With an expanded polystyrene core and side by side mineral boards, Wahoo Wall is a nice yet costly cover material. The main advantage of Wahoo Wall lies within its R-value: it's often considered a thermal barrier with total R-value of 13. In case you don't know, the R-value of a particular material indicates its ability to resist the infiltration of heat. The higher the value, the stronger the resistance and Wahoo Wall score very well in this category. So if you have money to spare and want to set up thermal insulation covers then Wahoo Wall would be a wise investment. Robust and affordable, you would have an easy time setting up the basement covers with a couple of metal sheets. There are many types of material and color choices available at your disposal like copper, polished aluminum,…. If you are good at improvising, you could secure enough metal sheets for the basement covers by walking around the house. You could either use them as they are for a rustic appearance or stamp the sheets with special textures. Do remember to avoid any metal sheets that seem to be damaged beyond reuse though. Due to the use of natural mineral in its construction, Magnesium Oxide Board is a tough cover material and an environmentally friendly choice. It's able to resist fire, water, mold and impact force which make it an ideal alternative to drywall. You don't need to use special tools to set up it up, just treat it like ordinary drywall. Nonetheless, each version of the Magnesium Oxide Board often has special installation requirements, you have to strictly follow them to prevent unwanted problems. The board cost long with its quality is also not consistent between brands and models so be careful. 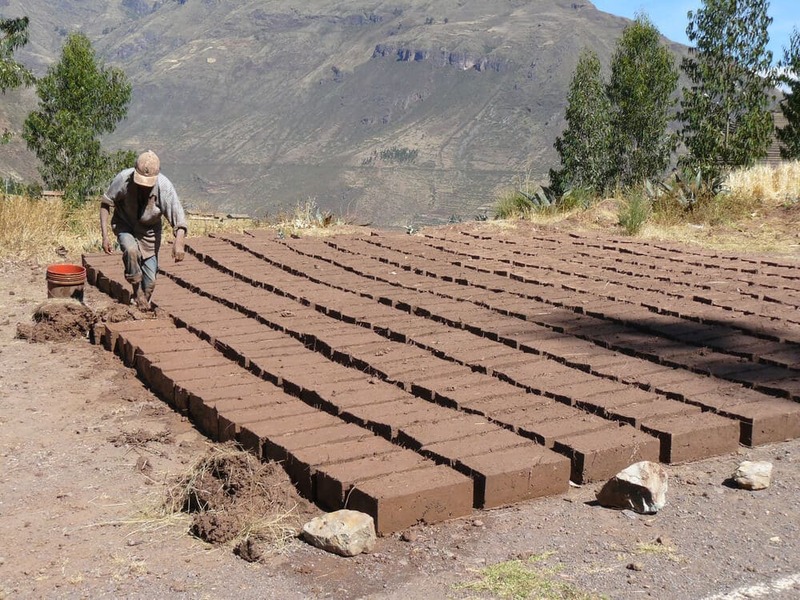 Made from earth and other organic materials, Adobe Brick possesses a natural outlook and quite simple to handle. simply stack one on top of the other then mortar them with clay and that would be it. Due to its straightforward manufacturing process, you could attempt to produce the material on your own instead of buying from the store. Adobe Brick has excellent thermal mass and fairly durable compared to other cover option. To further strengthen the material, steel could be used to reinforce the entire adobe wall. Virtually a composite material that is made from polymer and reinforces by fiber, FRP is able to withstand a lot of abuse without failing. The material has admirable resistance against harmful fungus and biological agents which make it very safe to use. Since it's an industrial grade class material, FRP panel would be able to last for years to come in a household setting. Many FRP manufacturers offer their customer a multitude of texture and color so you should be able to find something which matches your taste.